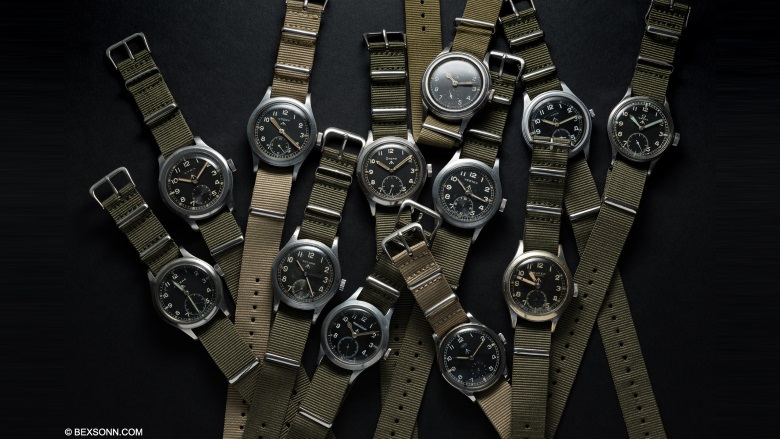 Photo credit to the Chronographes site. We are in the early 1940s. The British, the last stronghold of resistance to the Axis powers, galvanized by Winston Churchill, put all their fighting spirit into battle, with the help of the United States. The war effort is felt everywhere. The industry is running at full speed, and in all areas, meeting military needs is the top priority. The British army, and especially the formidable Royal Navy - a sinister memory for us French ... - has always been renowned for the quality of its command but also for that of its equipment. By the end of the 1930s, even before it entered the war, it had robust and reliable time measuring instruments, developed and produced, for some, by British companies. However, the Second World War led the Ministry of Defense (MoD) to change perspective: we must raise the level of performance and set, for the equipment of the troops, strict specifications. This specification, titled Wristlet Watch Waterproof , will remain in memory with the initials WWW.